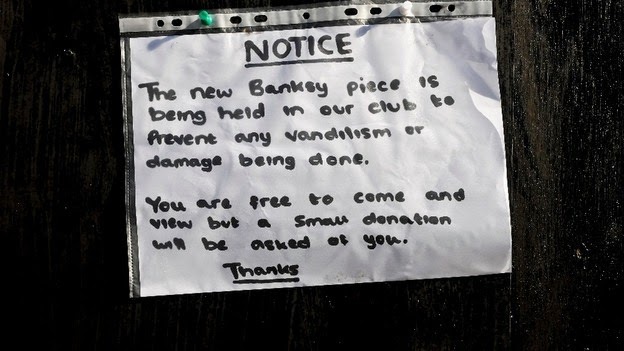 A Youth Club Replaced Banksy's Art Work with a Flimsy? Right, calm down Bristol, I know you're angry because your beloved Rovers are nearing relegation from League Two but there is no need to take it out on Banksy (and literally take it out of the wall). Today the artist revealed a new art work 'Mobile Lovers' however within hours it had been taken down using a crow bar. Ironically it was stolen by the local youth club; I'm no expert but I am not sure a youth club is meant to support graffiti, theft and taking money from the vulnerable who wish to see it. I suggest they should put there efforts somewhere else, maybe into a creative art course to improve their sign making. Maybe they were jealous of Banksy's artistic skill? The youth leader gave a statement today claiming he knew a close friend of Banksy, 'He said "you need to take that Dennis, get it into that club - it's what it is meant for"' Do you think this statement could work in any context then? Would it be the same if I robbed a David Bailey portrait from the National Portrait Gallery to then say "I met Dave down the pub and he said I could have it"? It all relates to inevitable controversial issues surrounding art. 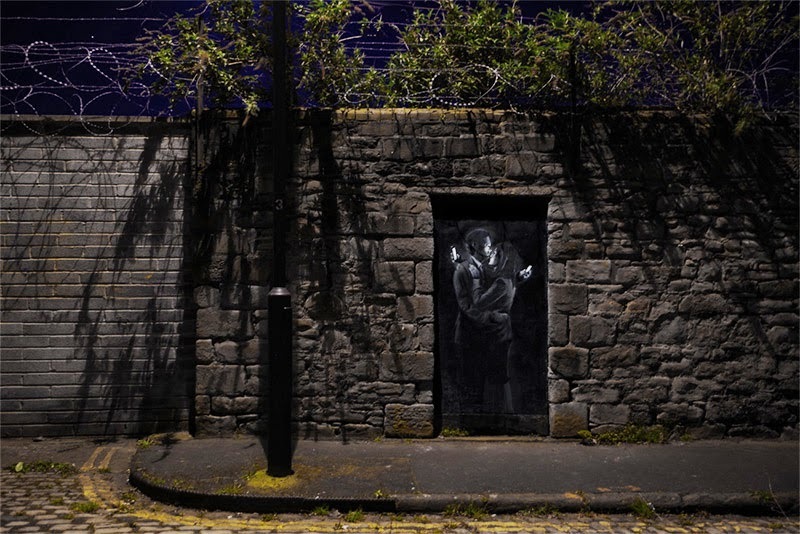 Is Banksy a vandal or an artist? Is there a difference between street art and graffiti? Does it belong to the public (as it is in a public space) or to the owner of the building? Is the man in the portrait Tony Blair (Claims the DailyMail)? Was it right for the youth club to take a Banksy?